Asbestos cement sheeting was used widely in both flat sheet and corrugated forms from bathroom walls to household roofs to the walls in the humble chook shed! So it can literally be anywhere, bathroom, laundry, toilet and the kitchen are the most common. The smart thing to do if the material is cement based and looks similar to the photos here and on our website is DON”T MESS WITH IT. Get it tested so you are protecting yourself and your family. You can either bring in a sample or preferably we can come to you, take the sample and measure for a free quote at the same time. It’s NOT EXPENSIVE, far cheaper than cleaning up a contaminated room or house. Unfortunately we get A LOT of phone calls from homeowners who have had contractors pull out cement sheet that turns out to be asbestos containing materials. Then we have to carry out expensive clean up and decontamination that in severe cases can involve discarding floor carpets and curtains etc. 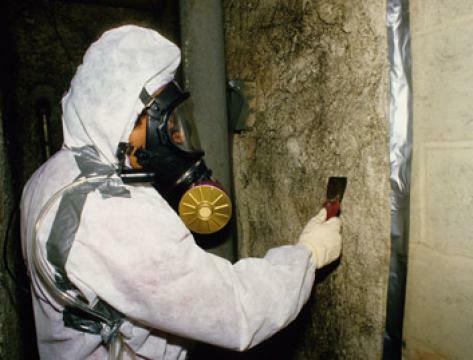 Asbestos Testing would have avoided these unpleasant situations. That is just the property side, you can’t undo physical exposure to asbestos…. Those concerns can cause a lot of emotional distress and anxiety. ALL of that can be avoided by simply having the suspect materials assessed and tested first, before ANY work is undertaken. Remember, the only conclusive way to know for sure if material contains asbestos or not it to have it tested, under a microscope in a laboratory! Call us today for pricing and to book for a free quote. Check out our site at https://asbestosremoval.com.au/asbestos-testing/ or click the call button to speak to us direct today.